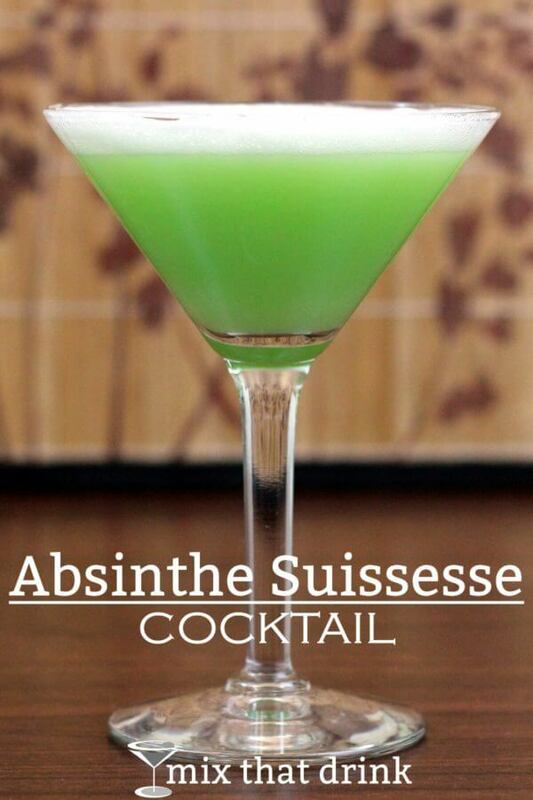 The Absinthe Suissesse is a fascinating classic cocktail. The myth about absinthe is that it used to have psychotropic properties before everyone banned it, and what’s available now as absinthe isn’t the real thing, because it’s just a spirit. But in truth, absinthe’s former reputation was misleading. It never was anything more than a strong alcoholic drink. Don’t worry, though – it’s still a fascinating spirit. The main flavor is anise, but there are some herbs and fennel notes that make it easy to get lost in a bottle of this one. The Absinthe Suissesse cocktail doesn’t add much to the absinthe – mainly a teaspoon of egg white to give it some body. Everything else – anisette and orange flower water – gets added by the drop, which makes this cocktail a fantastic hit with guests when you mix it in front of them. It looks like you’re making some 19th century lab brew potion – the absinthe myth continues. Pairing this drink with foods is a bit tricky, since absinthe is such a strong flavor. Fennel recipes are an obvious choice, since they share a main note with the drink. But absinthe can also work well with smoky flavors. Seared scallops and most any wood-grilled fish dish can work wonderfully. Smoked salmon, alone or as part of a recipe, is another great option. Tarragon is another seasoning that works well with absinthe. If you’ve never tasted tarragon, it’s very hard to describe – it’s not terribly far off from anise or fennel, but it’s also unique and complementary to them. You can actually set up a whole party around this drink. 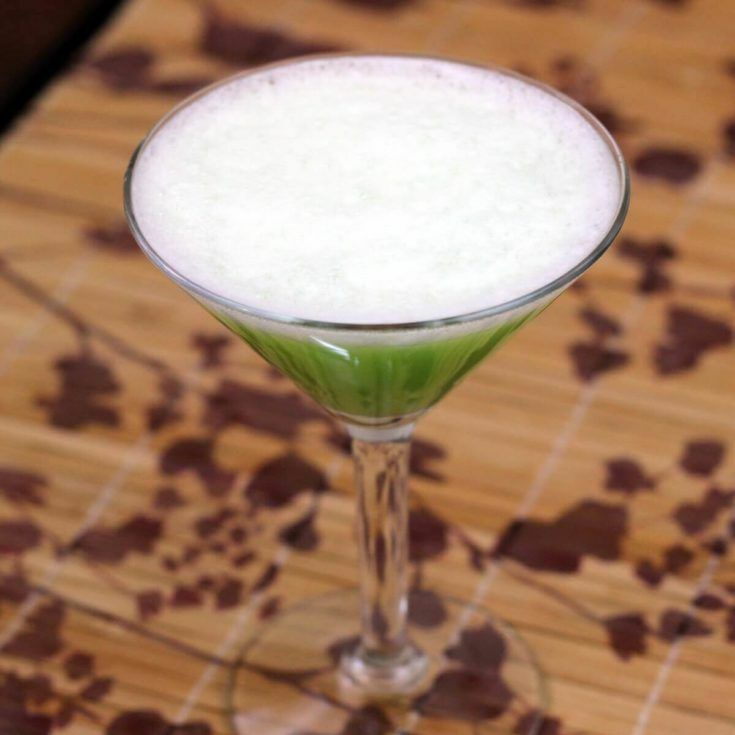 Be sure to check out our other Absinthe cocktails. The Absinthe Suissesse is all about the absinthe. The orange flower water and white creme de menthe temper the flavor of it somewhat, but the anise note still dominates this drink. This recipe calls for an egg white, which gives it a velvety texture and makes it seem more substantial. Fill a cocktail shaker with all your ingredients, BUT NO ICE. Shake well for about one minute (this is called a "dry shake", and will make the egg white nice and velvety). Add a few ice cubes into your shaker. I tried this, but I didn’t have anisette on hand. It was still amazing. I’ve ordered the anisette so next time I’ll try it with and see how much difference it makes.